Late last month, Google released its Cloud Text-to-speech engine to developers worldwide which featured 32 different voices spanning across 12 languages and variants. 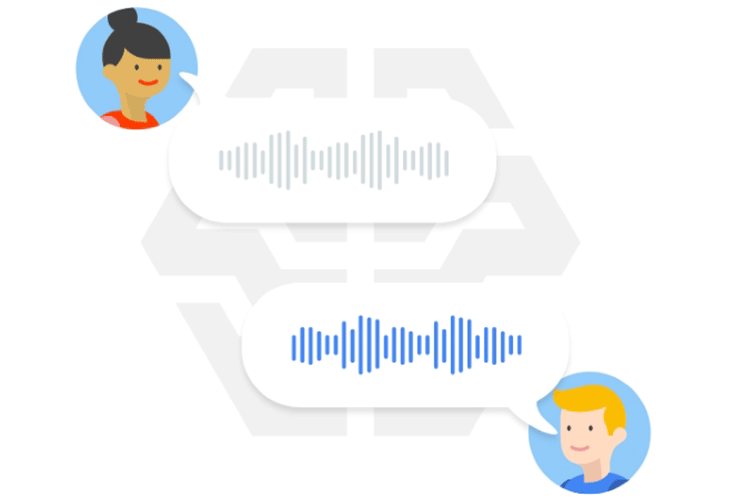 Now, the company has released a major update for another product from its Cloud AI speech lineup- the Cloud Speech-to-text engine (formerly known as the Cloud Speech API). The Cloud Speech-to-text engine, which was released back in 2016, has been available to developers for almost a year now. However, with the latest release, Google has added a number of new features and updates to the engine which is expected to make it much more useful for businesses, including phone-call and video transcription. However, nothing is stopping consumer apps developers from using these engines to make apps. At least a few of these could have real world consumer applications – such as using the engine for transcribing voice recordings. However, the new video and phone call transcription models have been specifically designed for business use cases, such as in call centers, where there is a need to keep track of all communication between company and customers. 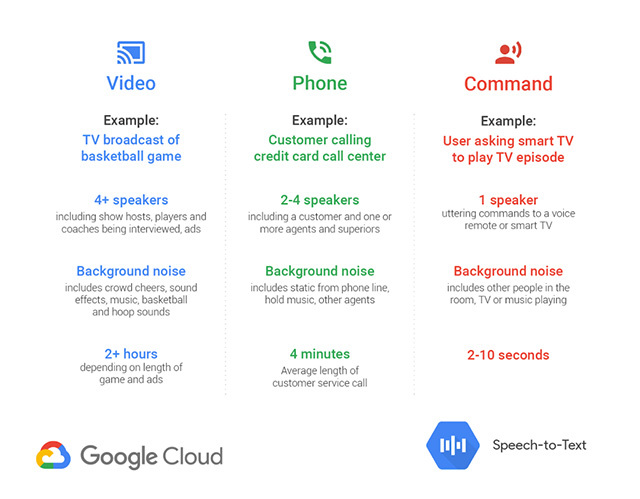 The API can support up to 4 speakers for phone calls and over 4 speakers on video calls, while seamlessly accounting for background noise, static from the phone line, and other agents. “Most major cloud providers use speech data from incoming requests to improve their products. Here at Google Cloud, we’ve avoided this practice, but customers routinely request that we use real data that’s representative of theirs, to improve our models. We want to meet this need, while being thoughtful about privacy and adhering to our data protection policies. That’s why today, we’re putting forth one of the industry’s first opt-in programs for data logging, and introducing the first model based on this data”.